Today’s jury trial involved several witness testimonies about a DUI car accident on February 24, 2016, in which a 72-year-old woman lost her life. Steven Hendrix, the defendant, is held in custody, facing charges of vehicular manslaughter, DUI and child endangerment, among other things. Judge Paul K. Richardson reconvened the trial in Department 13 after a lunch break, and the prosecutor called the first witness of the day: the firefighter who responded to the scene of the crash. The questioning continued as the firefighter explained the process of extracting the victim from the vehicle. In cross-examination, the defendant’s attorney then set out to confirm that the firefighter had since responded to many other accidents. During redirect, the deputy DA asked what tool was used for extraction, to which the firefighter answered the “jaws of life” – a common tool used by responders in the case of an accident. The witness was then excused. The prosecutor called for a second witness on the list. The witness was asked to explain her relationship to the defendant, to which she responded that her sister had been dating the defendant for about two years at the time. She was then asked to describe the day of the crash in more detail. The witness then proceeded to explain the day, and throughout her testimony she referred to her previous testimony from August of the previous year. According to the witness, her sister, her niece, two nephews, her daughter, and the witness herself were living in a homeless shelter during the time of the incident. In the morning around 7 a.m. the defendant, Steven Hendrix, arrived in their Ford Taurus to pick the group up from the shelter, in Davis, in order to take all the children to school in West Sacramento. After dropping the children off, the witness, her sister, and Hendrix proceeded to their rented storage unit in West Sacramento, and smoked a significant amount of marijuana while swapping personal items such as clothes, etc. After picking up lunch, the three returned to the unit yet again to smoke until the children were ready to be picked up from school, around 2:40 p.m. The group then drove to a library in West Sacramento, where everyone except the defendant got out of the car and went inside for a couple of hours. She also stated that she noticed a Caucasian male and female approach Hendrix, while he was still in the car. After seeing them interact for a minute, the witness headed toward the restroom. The witness also mentioned that once she returned from the restroom, she realized Hendrix had left the parking lot in the car and only returned when she and her sister, along with the kids, were ready to go. Throughout her testimony, the witness could not recall who was driving, besides when Hendrix drove the vehicle the morning of at the shelter. Back to leaving the library, the witness continued to explain that, within the vehicle, Hendrix was in the driver’s seat, and her sister was in the front passenger side. In the middle row of the vehicle was the witness, her niece, and her daughter, left to right respectively. The last row included the witness’s two nephews. Hendrix then drove the group back to Davis toward the shelter, somewhere after 5 p.m. After taking the Mace Blvd. exit, the witness claimed that there was a change in Hendrix’s attitude and demeanor. When asked by the prosecutor if she believed that the defendant was under the influence, the witness answered yes. She described his behavior as “goofy” as well as stubborn, in that he would not listen. She also noted that Hendrix was beginning to speed excessively over the speed limit. The speed limit on 2nd Street in Davis ranges from 15-45 mph, and the witness claimed that Hendrix must have been driving at a 60-70 mph range. The witness then began to feel cautious, and even recalled her daughter asking the defendant to slow down, to which he responded with an offhanded shrug. About one to two minutes later, Hendrix drove into a head-on collision with another vehicle. The witness heard the tires screech and, on impact, half of her body went over the driver’s head rest. Her nephew in the rear end of the vehicle ended up in the middle seat, and her niece ended up o the center console of the vehicle. The children were also injured with cuts inside their mouths, and her niece hit her head on the windshield. The prosecutor also asked if the witness had answered truthfully to all officers after the accident as well as in previous testimonies. The witness answered yes. 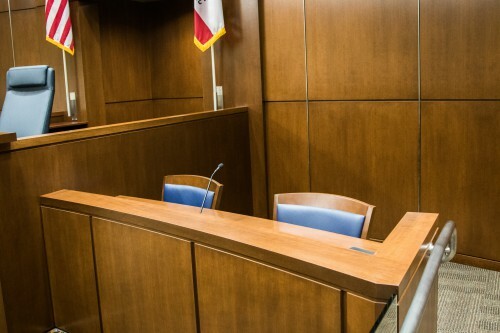 During cross-examination, the defendant’s attorney put the witness’ credibility in question because she presented several previous testimonies made by the defendant last year, in which her statements contradicted her current ones. The witness had offered opposing claims about who was driving the vehicle at certain times, as well as how much marijuana was smoked. She also previously stated that she did not recall the defendant responding to her daughter when the child conveyed concern about his driving. She also did not mention the statement made by her daughter to the officer she spoke with at the hospital. The questioning was redirected to the prosecutor, who clarified through the witness’ agreement that the officer asked about almost every other passenger other than her daughter, and did not actually allow the witness an opportunity to bring her daughter’s concern up. She also asked the witness to reaffirm how much marijuana was smoked throughout the day, to which the witness stood by her current testimony being offered. The deputy DA called the third and final witness to the stand, Davis police officer Alex Torres. He testified to the evidence he was ordered to book by his overseeing corporal. The evidence included a pair of tennis shoes, a black t-shirt ripped down the front, a male’s white tank top, a cell phone, and a single stud earring. During cross-examination, Officer Torres was asked if this evidence was booked according to routine procedure. He agreed that it was. After those three witness testimonies, the jury was also dismissed and told to return the next morning at 8:30 a.m. Both sides of counsel also discussed how relevant the defendant’s prior convictions are for this trial, to which Judge Richardson decided to take the information into consideration one more time. The jury trial for Steven Hendrix, who is charged with a DUI, vehicular manslaughter and much more, resumed today in Department 13, under Judge Paul K. Richardson. Almost a year and half a ago, on February 24 of 2016, Hendrix crashed into another car while under the influence of marijuana, resulting in several injuries as well as a woman’s death. After explaining some basics about marijuana, Officer Herbert also agreed with the Ms. Dixon when asked if habitual users of marijuana develop a tolerance to weed. During redirect, Deputy District Attorney Amanda Zambor asked the officer what the officer does if he is not able to administer a field sobriety test at the time. He answered that he looks for objective signs of impairment through interviews, observing dilated pupils, checking blood pressure and pulse, and seeing what is inside the car. When asked about the effects of marijuana on an individual, Officer Herbert claimed that marijuana has an immediate effect, and peaks in about 20 minutes or so. According to him, the high should wear off in about 2-3 hours. He also stated that although one might develop a tolerance to marijuana, the user might increase dosage in order to achieve that desired effect. He also explained that tolerance does not correlate with someone not being impaired. During re-cross, Ms. Dixon asked if crying can cause watery eyes, and if a major accident can lead to unsteady standing. Officer Herbert agreed that those were plausible, but again reaffirmed that an arrest is made based off the totality of observations. The witness was then dismissed. Deputy DA Zambor then called Davis Police Sergeant Rod Rifredi to the stand as the next witness. When asked about his background, Mr. Rifredi stated that he had been a firefighter for about 13 years, a patrol sergeant, a traffic sergeant, as well as now being the lead of the MATE team, which specializes in accident reenactment. When he arrived on the scene, Mr. Rifredi observed the damage on the vehicles and how far the two vehicles were from each other. Based off those observations and his experience, Mr. Rifredi estimated the speed to be somewhere between 75 and 85 mph. When asked about the magnitude of the accident, Mr. Rifredi said that it was on the high end. Mr. Rifredi then referred to a map of 2nd Street in Davis, and explained the different speed zones. He explained that he “walked the scene” in which he walked from the beginning of the scene to the end, and made observations. When asked why he was called to the scene, Mr. Rifredi answered that it was a known fatal accident at that point. He then explained that he called out more team members to use a total mapping station of the scene of the accident. DA Zambor then showed about over 50 photos from the night of the accident, asking Mr. Rifredi to explain certain things from each picture. The first set of pictures showed a counter-clockwise view of the scene, and some of the things Mr. Rifredi noticed were tire tracks, friction marks, and oil deposited onto the road, as well as the extent of the debris field. Another set of photos collected through the total mapping station showed specific damage made to both vehicles: the victim’s silver Honda, and the defendant’s red Ford Taurus. DA Zambor also asked Mr. Rifredi if he was able to conduct a crush analysis, or a momentum analysis. Because the vehicles were so extensively damaged and “overcrushed,” he stated that he was unable to conduct either analysis. DA Zambor asked details about the red Ford, in which Mr. Rifredi explained that he found cigar wrappers and tobacco leaf that night, both of which he photographed, and also noted a strong odor of marijuana coming from the vehicle. The prosecutor showed another last set of photos in which Mr. Rifredi noted the tires, rims, and brakes of the vehicle. When asked if there was any reason to believe that the braking system on the red Ford was faulty, Mr. Rifredi answered no. As the trial for Steven Hendrix resumed, yet another witness was called to the stand. Deputy District Attorney Amanda Zambor called Officer Justin Infante to the stand to testify about the fateful night that Steven Hendrix, while under the influence of marijuana and methamphetamine, crashed into another vehicle resulting in a 72-year-old woman’s death. Currently, Officer Infante works for the Rocklin Police Department, but at the time of the incident he was working for the Davis Police Department. DA Amanda Zambor asked the officer to recount the night of February 24, 2016. Officer Infante answered that he heard about the collision through his scanner, and responded to the scene of the collision within the next five minutes. He explained that he examined the red Ford Taurus that the defendant was driving, and noted extensive damage to its front, as well as a distinct odor of marijuana emanating from the vehicle. DA Zambor asked about any other duties that Officer Infante might have been a part of in the course of this case. He answered that after issuing a search warrant for the red Ford Taurus, he and a fellow officer found several items in the vehicle. Those items found included a glass pipe for meth, photo ID in a wallet, some marijuana in a small packaging, a purple pipe used to ingest marijuana, a red pipe, and a cap to a pipe. He also added that he retrieved some security footage from nearby buildings in his investigation. One specific video he retrieved was from Davis Waste Removal Co., Inc., located at 2727 2nd Street in Davis. The video was played in the courtroom, showing the jury a red Ford Taurus traveling westbound on 2nd Street at a fairly fast pace in comparison to the other traffic that was in the footage. DA Zambor then returned to asking about his role in the case that night itself. Officer Infante then explained that he was to issue a warrant for the defendant’s blood to be drawn, as well as to interview him and take down his statement. At approximately 9:40 p.m., Officer Infante arrived at the Kaiser hospital, in Vacaville, to take down a statement from Steven Hendrix, which he video recorded. DA Zambor played the video recording of the interview for the jury. The interview began with Officer Infante informing Hendrix that he was under arrest, and proceeding to read him his rights. Some of the charges Hendrix is facing include murder, vehicular manslaughter, driving under the influence, as well as other serious charges building on top of his prior convictions. He is currently held in custody, without bail. The rest of the interview includes Steven Hendrix confirming that he was the driver at the time of the accident, and explaining who was in his vehicle with him. He denied driving 60-85 mph, despite Officer Infante informing him of several witnesses describing reckless and speedy driving by Hendrix minutes prior to the collision. Hendrix proceeded to explain how the collision occurred, in which, according to him, he drove 35-45 mph, and applied his brakes as soon as he saw the silver Honda stop in its tracks. He then physically motioned with his hands how his red Ford collided with the silver Honda. He repeatedly asked out loud why the Honda would stop in his pathway, after moving forward from the stop sign. Officer Infante then asked Hendrix about his use of marijuana. He admitted to smoking marijuana fairly regularly, but claimed that his weed was not the most potent. According to him, Hendrix bought his weed with a sense of “quantity over quality.” He also added that he had built a strong tolerance to marijuana, indicating that it would not affect him significantly enough to impair his driving. When asked about the day of the collision, Hendrix claimed he smoked some marijuana before taking his children to school, which would be somewhere prior to 8:00 a.m. His statement contradicts another witness’s claims that he smoked marijuana throughout the day. When asked if the “blunts” found in the red Ford Taurus belonged to him, Hendrix denied it. When asked if he ingested any other drugs or alcohol that day, Hendrix answered no. Officer Infante then asked if Hendrix consumed any other drugs on a day-to-day basis. He answered, “just a little meth.” He was also asked if he was on any medications, to which he answered no. Officer Infante then asked if anyone was smoking marijuana at the time of the accident, and Hendrix said no. He then went onto explain his living situation, and how he and the other passengers had been homeless for two months. When asked about what officers would find in the red Ford Taurus, Hendrix admitted that there would be a small bag of marijuana. Officer Infante proceeded to ask about how much sleep Hendrix got the night before, and Hendrix answered that he “got a lotta sleep, for 2 to 3 days.” He also asked Hendrix about any prior traffic issues, to which he explained one minor incident, a “fix-it ticket.” He denied any prior reckless driving or DUIs. The interview ended, lasting about 40 minutes. During cross-examination, Deputy Public Defender Teal Dixon asked Officer Infante about the witness, Blaise Camp, who was in the bicycle lane the night of the collision. Camp testified that not only did the red Ford Taurus pass him in a reckless manner, but it proceeded to pass another vehicle up ahead in the same way. Ms. Dixon asked when Officer Infante took down Camp’s initial statement, to which he answered March 22, 2016, almost a whole month after the collision. Judge Paul K. Richardson, of Department 13, asked for a redirect from Deputy DA Zambor, who stated she had nothing further. The witness was then dismissed.